This specialist, award-winning formula addresses the unique structure, processing, styling and grooming needs of African-Caribbean hair. This hair type is the most susceptible to damage as it is fine and coiled in structure. The shampoo effectively cleanses and removes styling products from hair without dehydrating. Deposits moisture along the hair shaft during cleansing Suitable for use on natural, relaxed or synthetic hair. Providing excellent conditioning to hair, it brings excellent foam density and hair is easier to comb when wet or dry. Extensive moisture-binding properties and excellent substantivity provide moisturizing and softening to the hair. 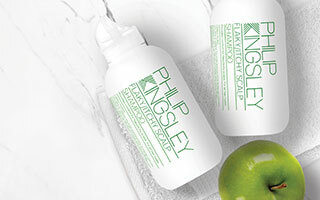 Helps to smooth and repair damaged hair cuticles leaving a brilliant, healthy shine on the hair. The occurrence of traction hair loss in African-Caribbean women is underestimated and is often mistaken for other types of hair loss. Traction hair loss starts as thinning at your front hairline, then receding continues with a general thinning all over – similar to the appearance of male pattern hair loss. Traction loss can also occur all around your scalp edges, know as banded traction alopecia. Another type of traction hair loss is where your hair comes out in clumps. The main causes of this ‘patchy’ hair loss are sleeping in rollers, using too-tight rollers or wearing very tight braids (especially in children). The reason why these methods cause traction loss is that they constantly pull at your hair, causing breakage and plucking hair out from the roots. 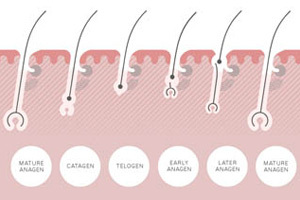 It’s very important to catch this type of hair loss early on, as over time it can damage your hair follicles and lead to permanent loss of hair. Traction alopecia shouldn’t be confused with alopecia areata, which looks very similar as it also occurs in patches. However, alopecia areata is often caused by psychological or internal stress rather than physical, external stress from traction.